Lamb Kefta from Lebanon, Aubergine Chickpea Salad from Morocco, and Marinated Herring with Polar Bread, from Scandinavia? Check! Chef Jaques Pépin helms Oceania Cruises’ culinary program, and if you’re a foodie, an epicurean-inspired adventure with Oceania Cruises ensures a taste of the world. Marking its 15th anniversary this year, Oceania Cruises recently debuted The Bistro lunch menu, expanding it fleetwide and introducing more than 600 new dishes. 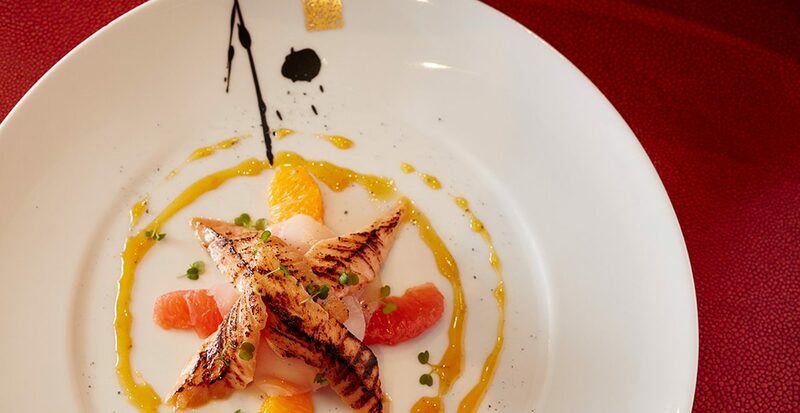 After The Bistro become popular aboard Sirena, the new menus are now featured aboard Oceania’s other five ships–Regatta, Insignia, Nautica, Marina, and Riviera. Expect regional, seasonally inspired fare, as lunch at The Bistro celebrates 14 new “Taste of the World” selections from Cuba, Mexico, Scandinavia, Italy, Asia, Greece, France, Lebanon, Spain, Morocco, England, Philippines, the Caribbean, and India. Taste of the World showcases six different local or regional specialties inspired by the Oceania Cruise culinary team’s upbringing and their travels. Globally inspired dishes like Pickled Vegetables and Roasted Lemongrass Chicken from the Philippines celebrate both culture and cuisine. Ready to sojourn to the South Pacific or sail through Europe? Experience vast landscapes, fine dining, and local wineries wherever you choose.